Evelyn Berezin, a computer scientist who designed the world’s first word processor, has died at the age of 93. In the 1940s, Berezin studied physics at NYU. After earning her bachelor’s degree, she did graduate work through an Atomic Energy Commission fellowship. But, as she explained in an oral history interview, she was having trouble finding work in the physics field, so she started asking about computers — having barely even heard of them. “Somehow I had read somewhere about computers,” she said. She’d arrived in the industry just in time for the final years of vacuum-tube computers and the dawn of the transistor age. With a gift for logic, she swiftly rose up through the ranks, managing other computer scientists as she designed novel networks and systems. When she designed a reservation system for United Airline in 1962, it was one of the largest computer systems ever built, according to the Computer History Museum. “The design of the central system (three independent, linked processors) served 60 cities throughout the United States with a one-second response time and no central system failures in 11 years of operation,” the museum writes. It wasn’t easy being a woman in the industry. 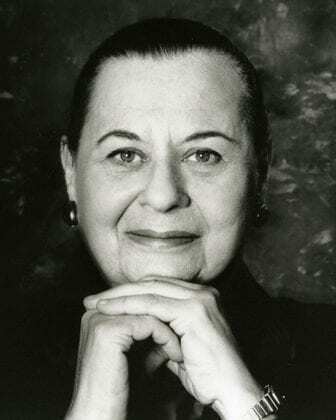 In 1960, Berezin says she was offered a job at the New York Stock Exchange, as a vice president managing the computer system that handled their communications. But then the offer was retracted by the board of directors. The man who offered her the job apologetically explained, “They said that you were a woman, you’d have to be on the stock market floor from time to time. And the language on the floor was not for a woman’s ears. After working at other people’s companies for throughout the ’50s and ’60s, Berezin founded her own in 1969 — when it was highly unusual, to say the least, for a technology company to have a female president and founder. It wasn’t easy. It required cutting-edge hardware: Berezin’s company had to design and build some of its own computer chips, because of limitations on what was available on the market. The company built a plant before they had a product, and designed the product before the necessary parts were available. At one point, Redactron was preparing to show off its only working device, a prototype referred to as the “test machine,” to reporters in New York City. But the device had a flaw; in dry weather, static electricity would interrupt the circuits and keep it from functioning. “To our horror it was a dry day and the engineers were setting this non-working machine up for our big story, and the reporters were coming in an hour, and everyone was going crazy,” Berezin said. One of her colleagues took care of that by overturning a pail of water and soaking the room’s carpet. She was also on the board of many, many companies — a side effect of the woman’s movement, she says. “Companies were scrambling to get a woman on the board,” she explained in her oral history. “Companies were hiring the wives of people who were the presidents of companies … You can’t imagine the idiocy of what was going on.” As a woman with technical knowledge who had led her own company, she says, she was a hot commodity on companies’ boards.